If you are interested in joining a competitive dance group, please attend clinics and open classes held during the summer months so that you can be evaluated for a group. Former competitors must attend as well. You will be requested to attend auditions in addition to the summer clinics for placement. In addition to your competition class, solo, duet or trio, you MUST register for a ballet class and technique class. Students must abide by dress code and have strong attendance. Weekend rehearsals must be attended through January and February as competitions begin in March. Check out our COMPETITION page to see photos and awards from our competitive year! From beginner to advanced, students will apply the use of various combinations and across the floor exercises to develop and improve technique. Emphasis on understanding how to count combinations, introduce rhythm, time steps, develop extensive tap vocabulary, and a clear tap sound. Learn the principals of turning, leaps and energetic movement. This class is great for beginners- a fun and energetic way to learn the fundamentals of dance while incorporating your own style. 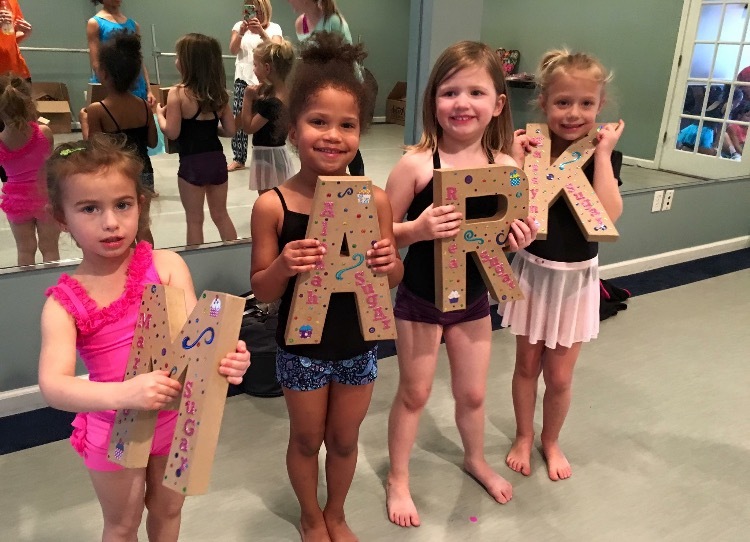 Beginning at age 5, students will work to strengthen their coordination, balance and technique. Positions and vocabulary will be introduced with the use of games and social interaction. As the student develops, they will enter into a more disciplined and structured ballet course that includes use of a ballet barre, center work and across the floor exercises. The main focus of this class will be on proper dance technique and body placement. All classes begin with conditioning and strengthening to tone the body for tumbling and provide the control it needs for acrobatics. We have knowledgeable, certified and experienced instructors/spotters in each class. A fusion of ballet and jazz- an emotional outlet and an excellent class for self-expression. In this class, the student will learn how to use different turns, leaps, extensions and various body movement to tell a story. This style of dance focuses on technique, balance and strength. This class is for 3 year olds or those turning 3 within the dance year. It is a loosely structured class introducing the kids to a social environment and helping them learn to work with one another. We learn waiting our turn, raising hands, Simon Says body movement, role play to story-telling music and rhythms. Great way to introduce child to studio and instructors before they actually start a more structured dance class. A fun introduction to gymnastics, ballet and jazz! This class focuses on understanding the fundamentals and the structure of a dance class. We introduce the mind and body to movement by social interaction, group "play", counting steps, listening, parachute games and fun music! All classes begin with a gymnastics warm-up and basic tumbling skills. Then, the class proceeds to do a bit of ballet and/or jazz dance. Extension of Jazz class, often hip hop will be explored within a jazz class, but one can take a full length hip hop class as well. Instructors will help you master the style by placing emphasis on movements specific to this genre. Dancing in your plie, hard accents and isolations to name a few. This half hour lesson is for one, two or three individuals to have the undivided attention of an instructor to educate them in a subject of their choice. Because you will be charged per lesson, please call WELL BEFORE the start of the class time if you will be unable to attend your lesson, so that you will not be charged for that lesson.